Come Check Out My New Art Class! 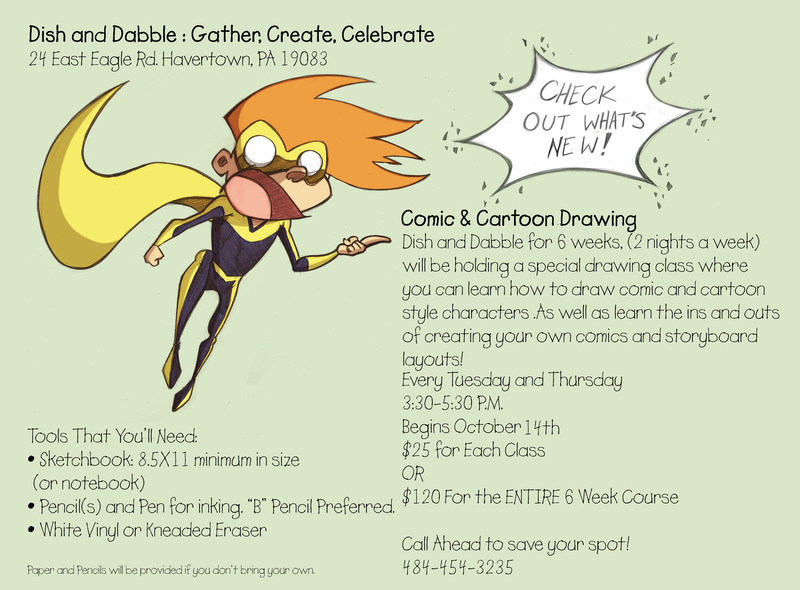 If you live in the Havertown, PA area you should come out and check out that I will now be teaching a Comic and Cartoon drawing class at Dish and Dabble! Hope to see you there!